Software sales careers are hot these days. More sales professionals than ever are exploring opportunities in this fast-growing field. It’s not just the salary. Many enterprise software sales jobs come with attractive perks that extend beyond monetary compensation. If you’ve been thinking of pursuing a career in software sales, you’re on a promising track. Even so, you may be overlooking some of the fringe benefits. Following are the top five reasons for seeking a position selling enterprise-level software solutions. Money is a big motivation for many people interested in this career path. To that end, you can make a lot of it if you’re willing to roll up your sleeves and do the work. Your earning potential is directly linked to your performance. The better you perform, the more money you stand to make. This arrangement is possible because a part of your compensation is given in commissions. If you just want a position that provides a stable paycheck every two weeks, this aspect of enterprise software sales jobs won’t excite you. Then again, if that’s the case, selling IT solutions may not be a perfect fit. Some careers have limited potential and the reasons vary. Sometimes, an industry contracts to the point that demand for new hires dries up and industry veterans become at risk for being downsized. Other times, the number of professionals who enter an industry explodes, causing a marked decline in demand. Meanwhile, recruiters who specialize in software sales careers report that demand for effective IT sales executives has never been greater. Moreover, that demand shows no signs of flagging any time soon. In enterprise software sales jobs, your advancement can occur as quickly as your performance warrants. If you consistently hit your sales quotas month after month, don’t be surprised to see a fast rise in your compensation. It’s not uncommon for successful software sales reps to make six-figure salaries (base plus commissions) within a few years. The best of the lot can make $500,000 selling enterprise solutions. Compare this trajectory to that of a typical nine-to-five job where you might spend 20 years before earning that kind of money. And that assumes you eventually become CEO of your company. Given the high earning potential and rapid advancement in software sales careers, it’s surprisingly easy to get your foot in the door. You don’t need an advanced degree (a Bachelor’s degree is usually sufficient). And with rare exceptions, you don’t need to earn special certifications. The most important attributes are a willingness to work hard, an ability to control the sales process, and a bit of tech savvy. 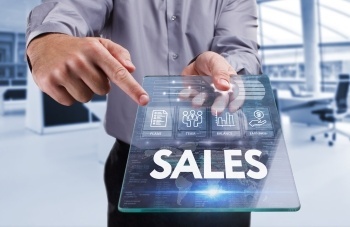 If you possess these three traits, you’ll not only find it easy to break into software sales, but you’ll thrive in the industry. Yes, you need to put in the hours. Prospecting for leads, giving sales presentations, and learning the ins and outs of the software you’re selling take time. But you have an enormous amount of freedom to accomplish these things. There’s no need to watch the clock, waiting desperately for 12:00 noon so you can take a lunch. You create your own schedule. You manage your own time. As long as you hit your sales quotas, you can expect to enjoy a high degree of autonomy. Enterprise software sales jobs aren’t ideal for everyone. But if you’re looking for an in-demand opportunity that eliminates constraints on your earning potential, career advancement, and freedom, this may be the ideal career path for you. New Way Search is a technology sales recruiter with more than 50 years of combined experience in software sales and executive sales recruitment. Contact us today if you’re seeking an opportunity in software sales. We have access to a large network of IT employers who are currently looking for promising hires.